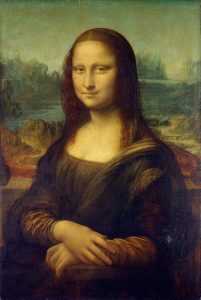 The story that the Mona Lisa has been stolen from the Louvre and a copy substituted in its place, is one of the most sensational which, so far as art matters are concerned, has ever made its way into print. If the Mona Lisa had been cut from its frame, and the astounded attendants at the museum had been con fronted with an empty space where the wonderful picture used to hang, it would have been not more incredible than some things of the kind that have happened. Everyone will remember the theft of the celebrated portrait of the Duchess of Devonshire, painted by Gainsborough. But this Mona Lisa story sounds extremely improbable. It emanates from a single Paris newspaper, and everybody knows that Paris loves sensations, and that Paris journalism is not over-scrupulous in finding means to titillate the jaded palate of the French public. Then, it is asserted that the picture was stolen through the connivance of a high official of the Louvre. But the paper which makes this charge does not dare to publish the accused official’s name. It is added that the “really truly” Mona Lisa has been sent to New York, and is in the possession of some art-loving millionaire there. Ridiculous! A millionaire or anybody else who got hold of the Mona Lisa by illegitimate means would have such an elephant on his hands as no art collector since the men of the Stone Age scratched rude sketches on the walls of caverns, ever undertook to provide the keep of. If anybody had stolen the Mona Lisa, he would never dare to identify the painting. If a private collector, he could not enjoy the pleasures of possession, and if an art dealer, its exposure for sale would mean the landing of the vendor and vendee in State prison.